When you were sick as a child, did you grow up with a box of tissues and a bag of menthol cough drop as the go-to standard in your home? It’s typical stuff, but now that I’m all about the DIY and natural, so I’ve cut back on my store bought cough drop days. Cough drops, as it turns out, are quite often full of ingredients that I’d rather not have. Store bought cough drops are usually straight up sugar (the non-organic, bleached kind) with a dash of food dyes and sometimes even soy (seriously…why does soy need to be in cough drops!??). They aren’t the world’s worst ingredients, but I’d like to avoid them as much as I can. 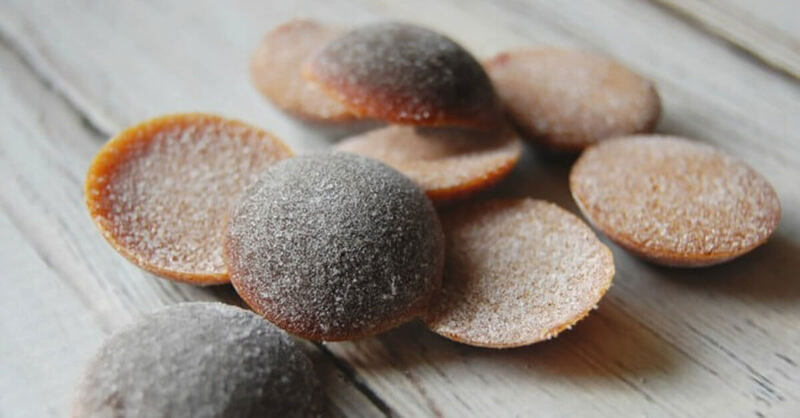 Not to mention, as an herb loving DIYer, I can make use of some amazing cough kicking herbs and easily create my own DIY cough drops! 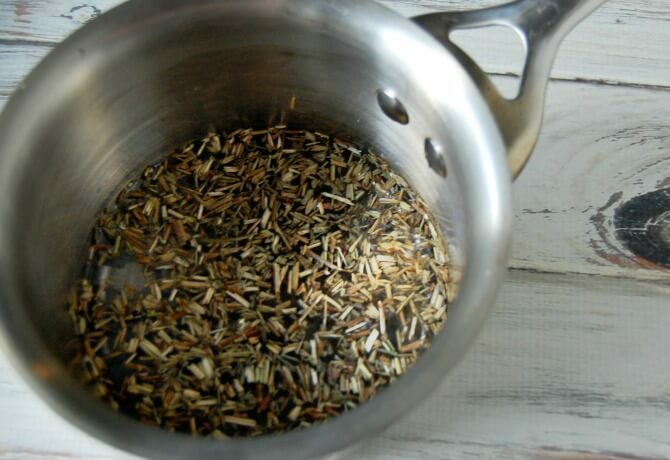 You will need a cough kicking herb, like hyssop. Have you heard of hyssop? It’s not a common herb, definitely not one you will find wandering down the spice aisle of a grocery store! It’s an herb of biblical proportions…literally. 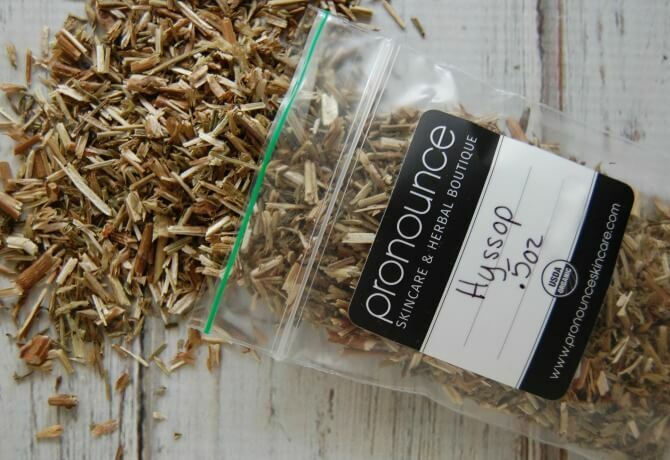 Odds are the only reason you’ve heard of hyssop is because of it’s biblical references. But you don’t have to get biblical to love hyssop! Hyssop as I mentioned is great for dealing with coughs and colds in general. Hyssop helps loosen mucous, get rid of congestion, and soothe sore throats. It can even help lessen the time of colds and flu! So it’s a natural herb to use in homemade cough drops! 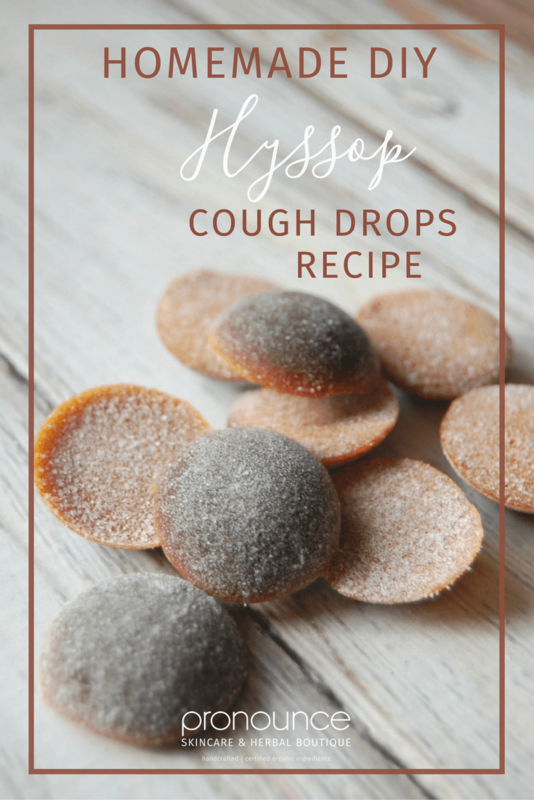 Homemade DIY hyssop cough drops are actually very simple to make, so don’t let this DIY scare you! You need only 3 ingredients (2 if you don’t count the water)! Bring water and hyssop to simmer in a small pot. 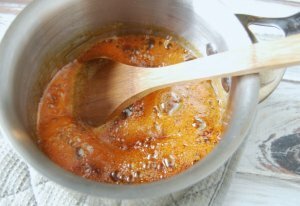 Allow to simmer for 5 minutes. Turn off heat and allow to infuse for 30 minutes. Then strain. Pour honey into a small pot along with your strained hyssop infusion. Cook over low heat, stirring continuously. Continue cooking until temperature reaches 300 degrees. (If you do not have a candy thermometer, you can test the mixture by placing a drop into ice water. 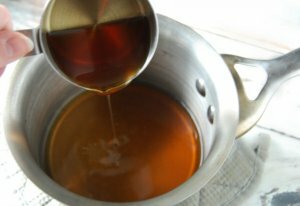 If the honey turns and stays firm/hard then you are at 300 degrees). Once at 300 degrees, remove pot from heat. 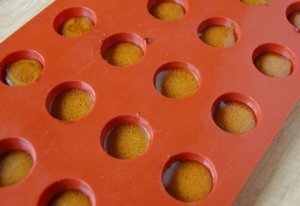 Pour mixture into small cough drop like molds. Allow cough drops to cool and harden. 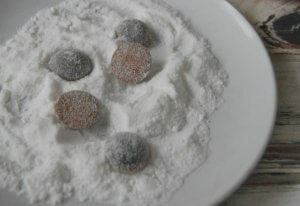 Once firm, pop cough drops out of mold and coat in powdered sugar (or slippery elm bark powder works as a sugar free alternative). And there you have it…an easy peasy, effective, and natural way to help deal with colds, coughs, and sore throats. Happy DIYing! Need more immune boosting help? 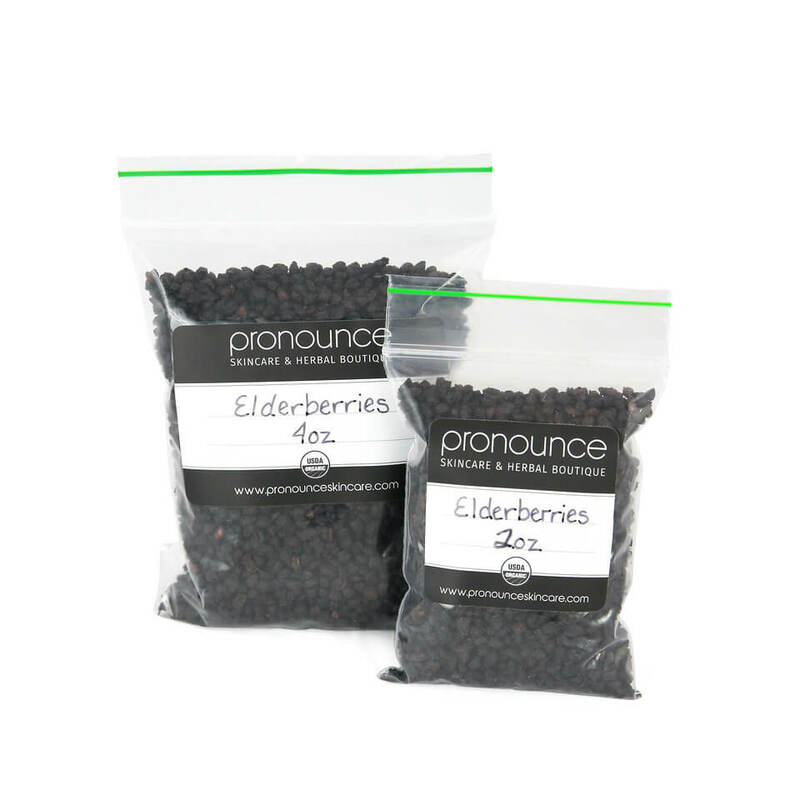 When you grab your certified organic hyssop herb from the Pronounce Herbal Boutique, grab some certified organic elderberries and whip up a batch of immune boosting elderberry syrup! We even give you that recipe for free, too. While you are there, please take a peek at all of my other items in the Herbal Boutique, and my handcrafted skincare creations. I love making them for my family and for you!